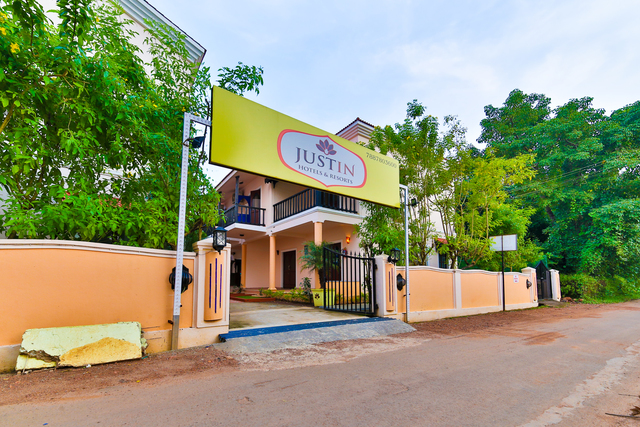 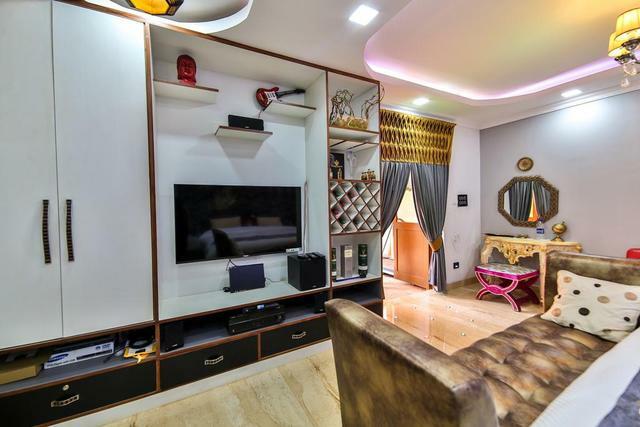 JUSTIN has the best of both worlds - incredible views of greener-than-green fields & forests while in close proximity to the famous Big & Small Vagator Beach. 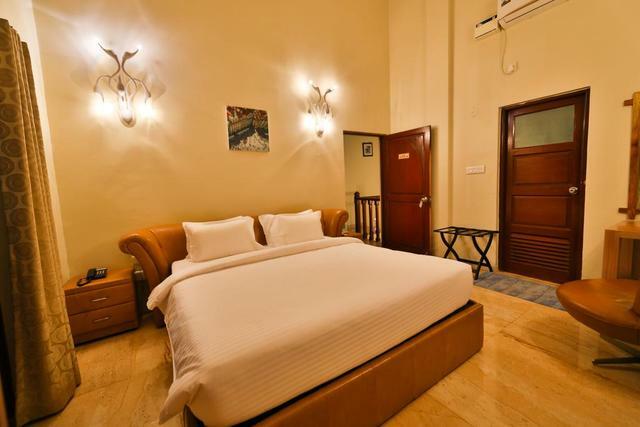 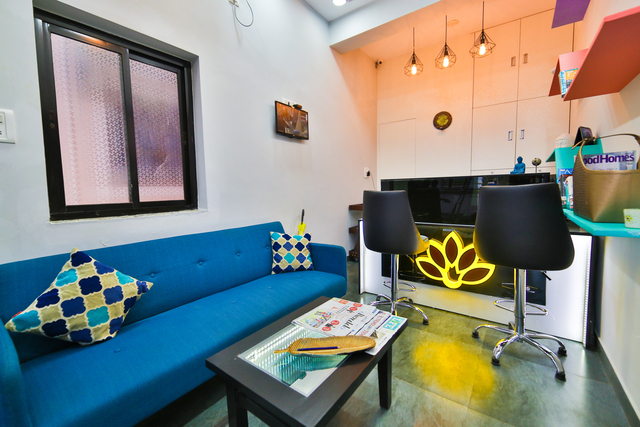 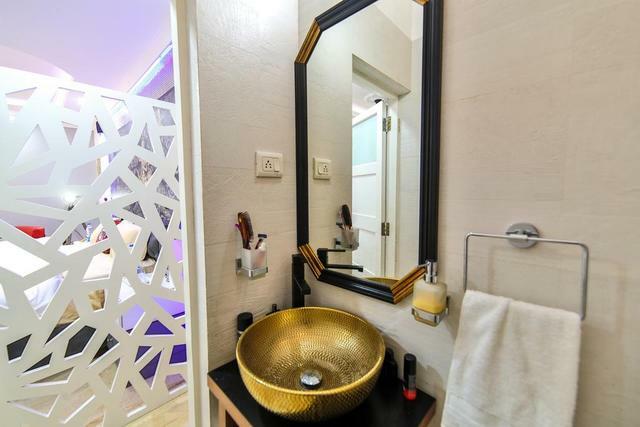 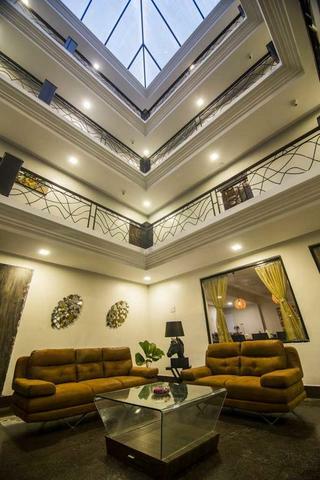 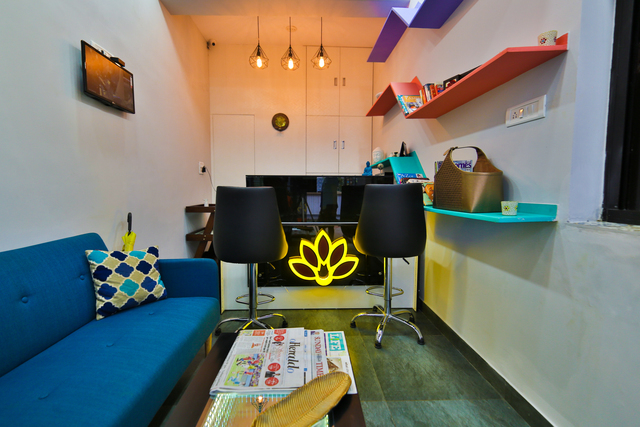 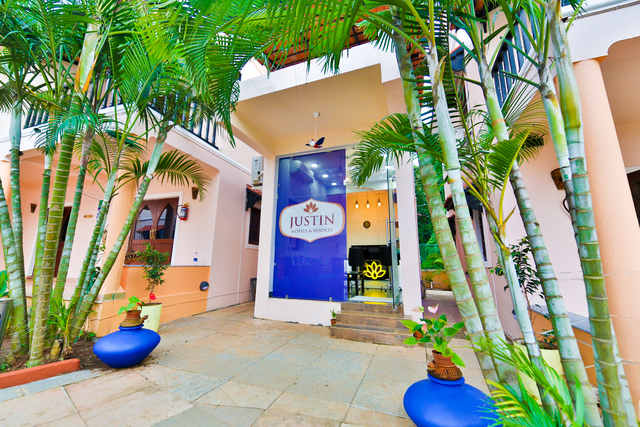 Due to its convenient location, JUSTIN is sometimes visited by wild harmless birds such as Kingfishers, parrots, sparrows, and most importantly the national bird of India Peacocks! 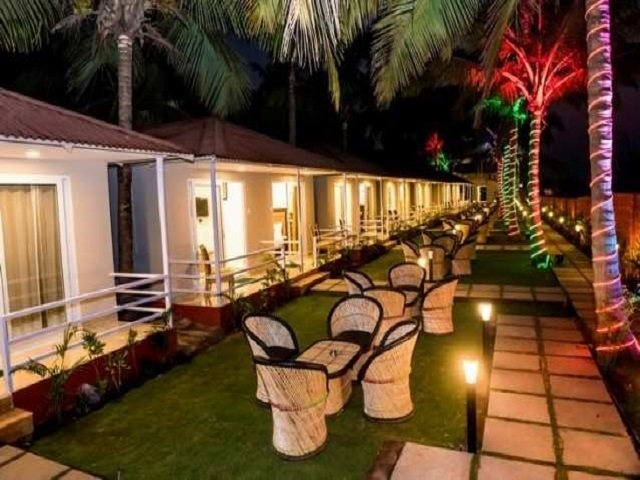 Just so you know, Vagator beach is a combination of rolling hills with a naturalistic walk down to the shore. 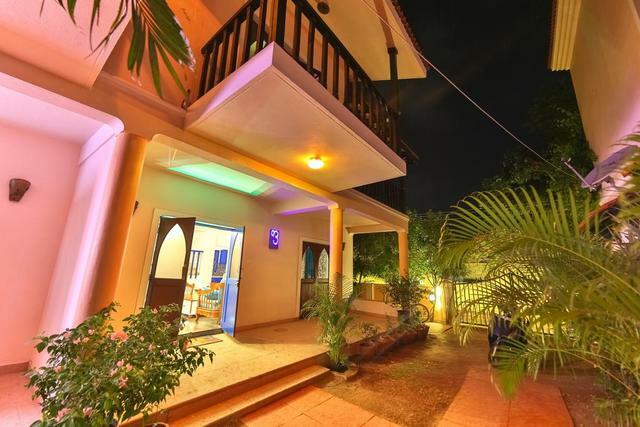 From JUSTIN, you will enjoy your walk along our green hillside right down to the beach. 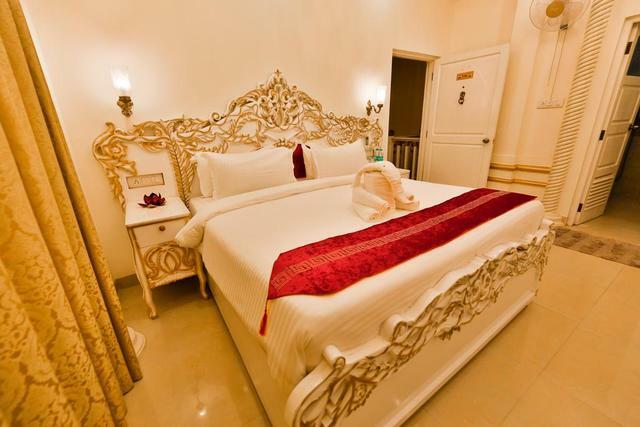 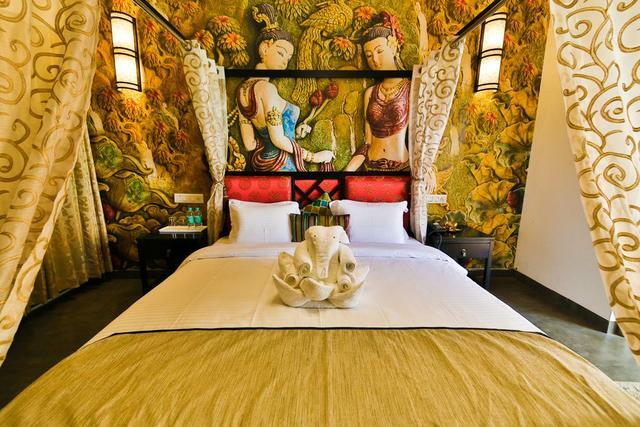 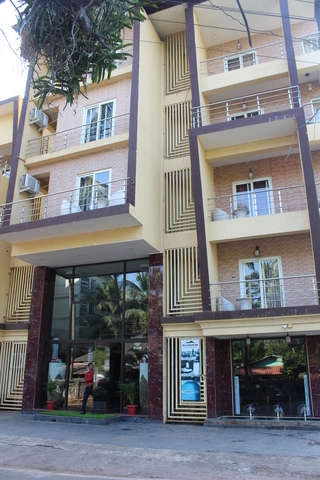 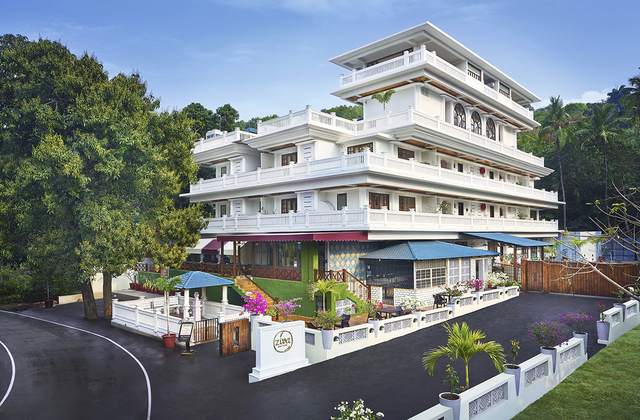 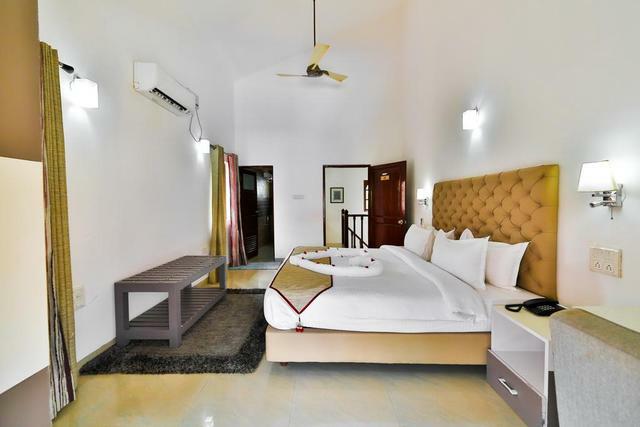 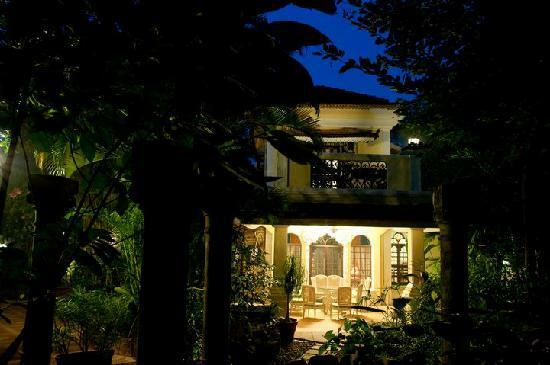 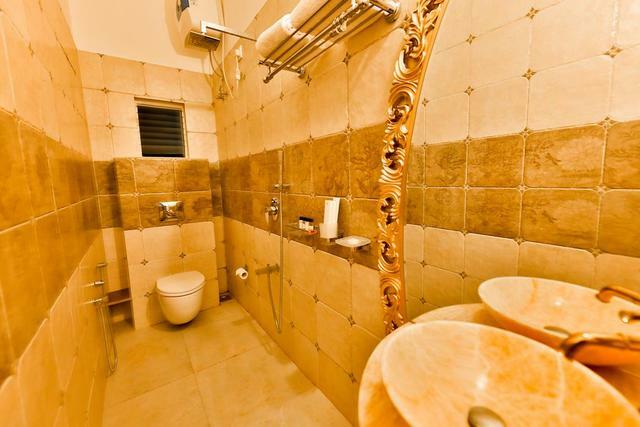 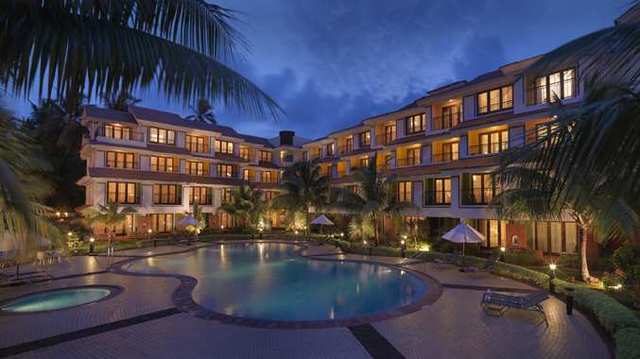 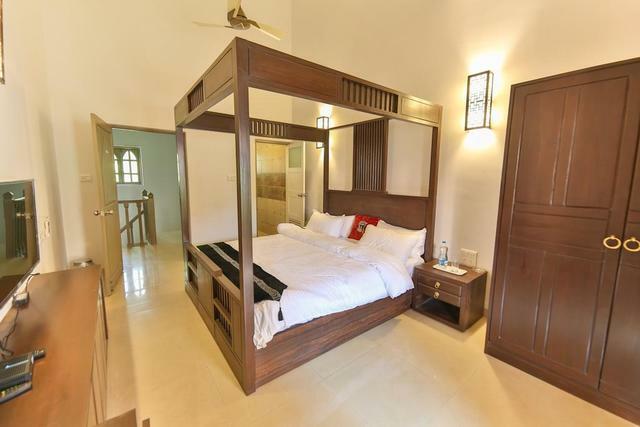 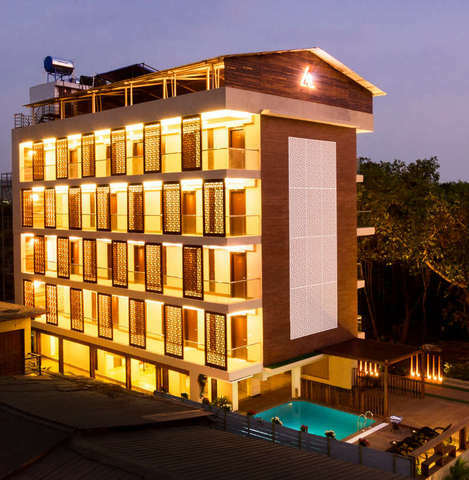 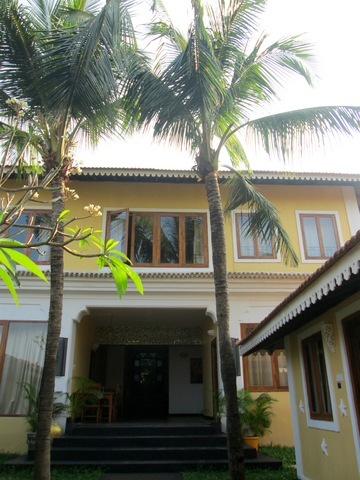 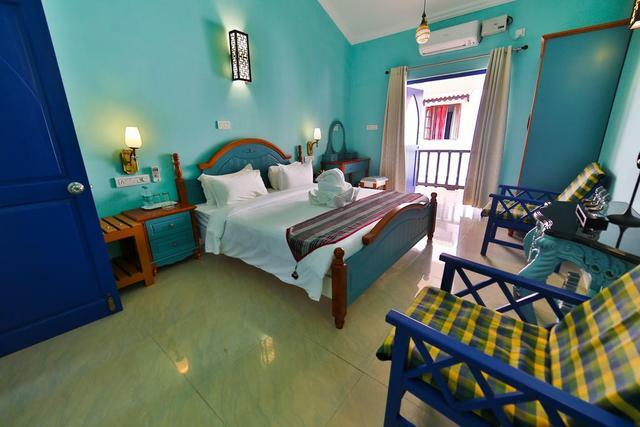 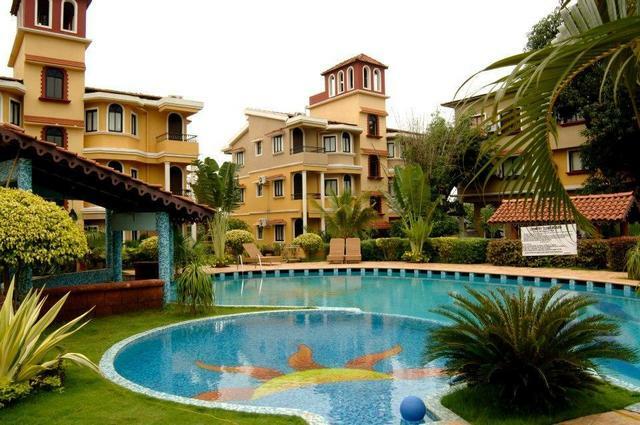 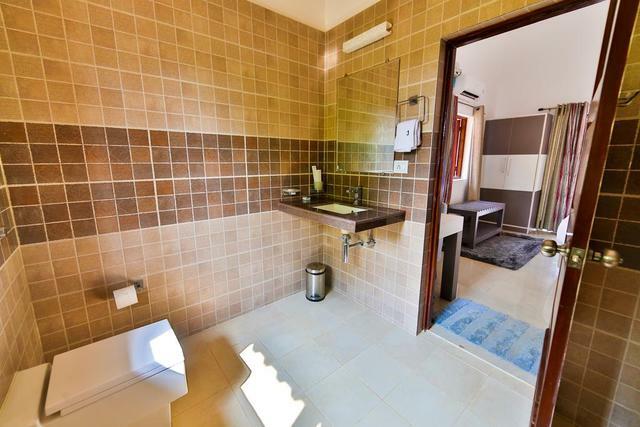 The resort is built in the Portuguese-Goan style and is designed with state-of-the-art facilities. 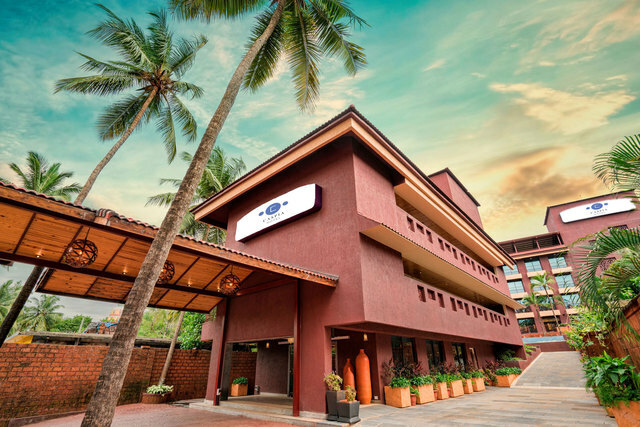 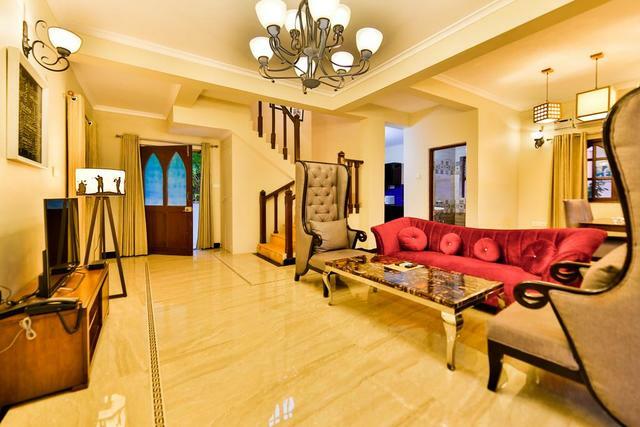 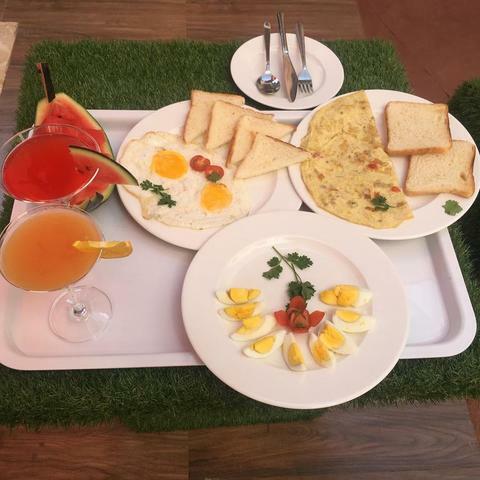 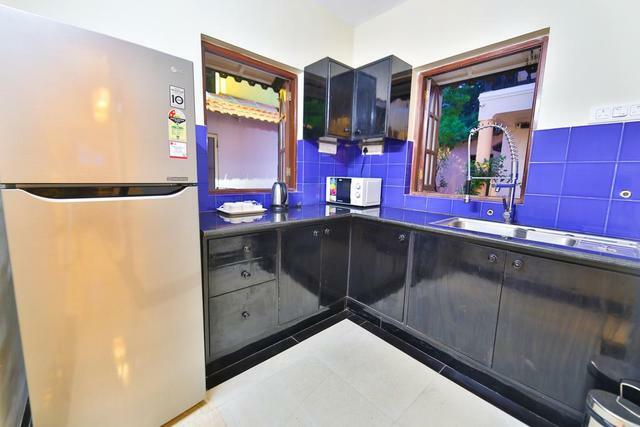 At JUSTIN, we give you a fusion of the Goan tradition and modern amenities. 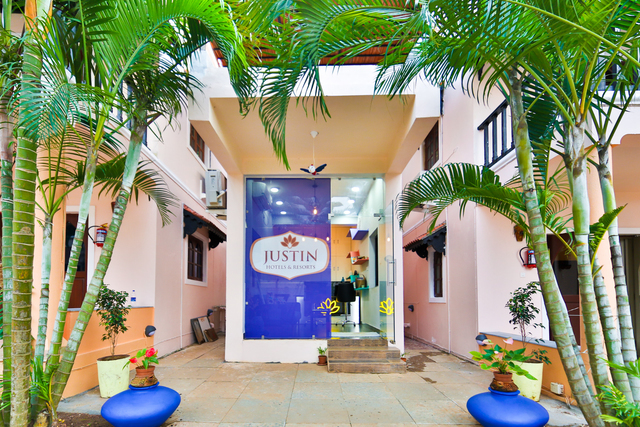 Our lush green lawn coupled with a collection of colourful plants and flowering trees, makes JUSTIN come alive. 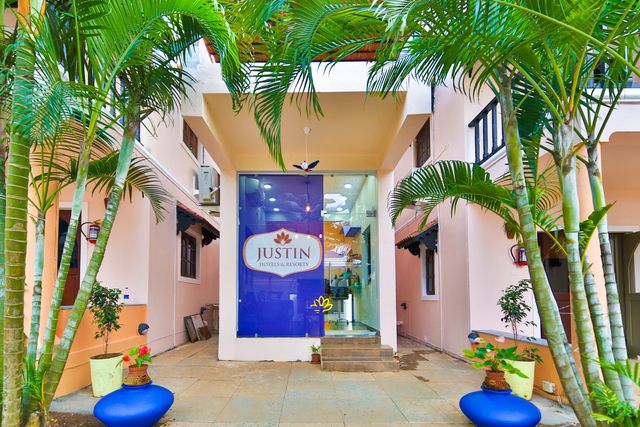 As you enter the flowery gate of JUSTIN one cannot help get that Ahhhh. 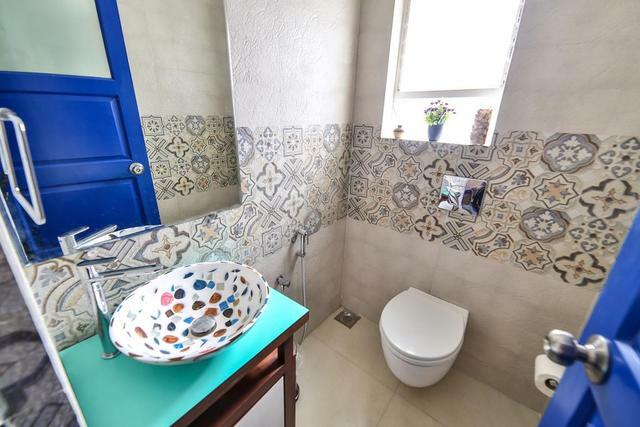 feeling, which already makes you feel at home. 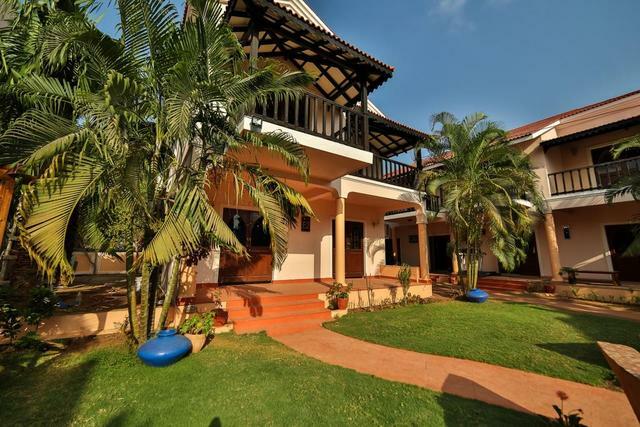 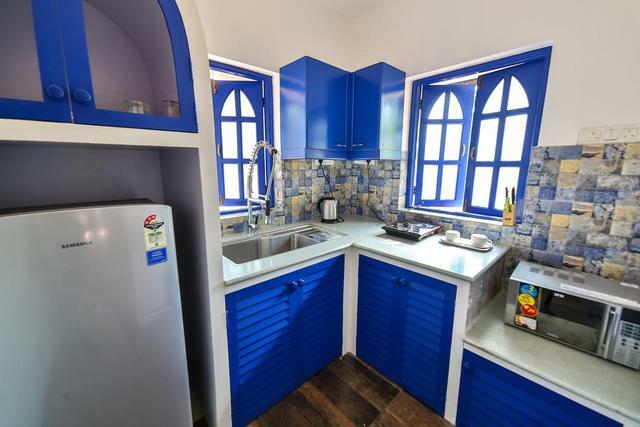 Come on....Calling out to families, lovers, friends for a complete Goan holiday with that warm and secure feeling of home.